CT Energy & Technology is looking for approval to build a new fuel cell power plant in Beacon Falls, Connecticut. The company specializes in developing energy projects, and has partnered with O&G Industries, which owns land in Beacon Falls, and FuelCell Energy, a leading developer of hydrogen fuel cells. 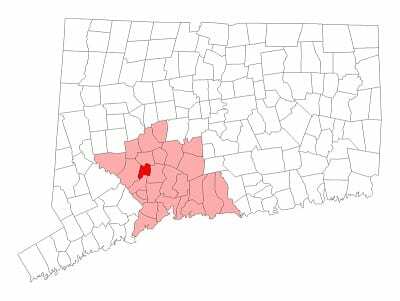 CT Energy & Technology plans to submit a proposal for the new fuel cell power plant to the Connecticut Siting Council by the end of this month. The Siting Council will have 180 days to determine whether or not the project will be built in Beacon Falls. Plans for the project, called the Beacon Falls Energy Park, were first made public in May of this year. The fuel cell power plant would produce some 63 megawatts of electrical power. FuelCell Energy will be manufacturing the fuel cells that will be used at the power plant. These fuel cells will consume hydrogen to produce electricity, which will then be fed into the Connecticut energy grid. Connecticut has been looking to expand its use of renewable energy in recent years and hydrogen fuel cells have come to play a major role in this endeavor. These energy systems are capable of producing large quantities of energy without also producing harmful emissions. As such, they have become very popular in numerous sectors. The problem, however, is that fuel cells are notoriously expensive and the infrastructure capable of supporting them is lacking. CT Energy & Technology decided to use hydrogen fuel cells over other types of energy solutions because they take up relatively little space. The solar energy systems that the company had considered would require at least 300 acres of land in order to produce the same amount of energy as the fuel cells the company will use. Fuel cells can also produce energy at all hours of the day, as they do not rely on sunlight.